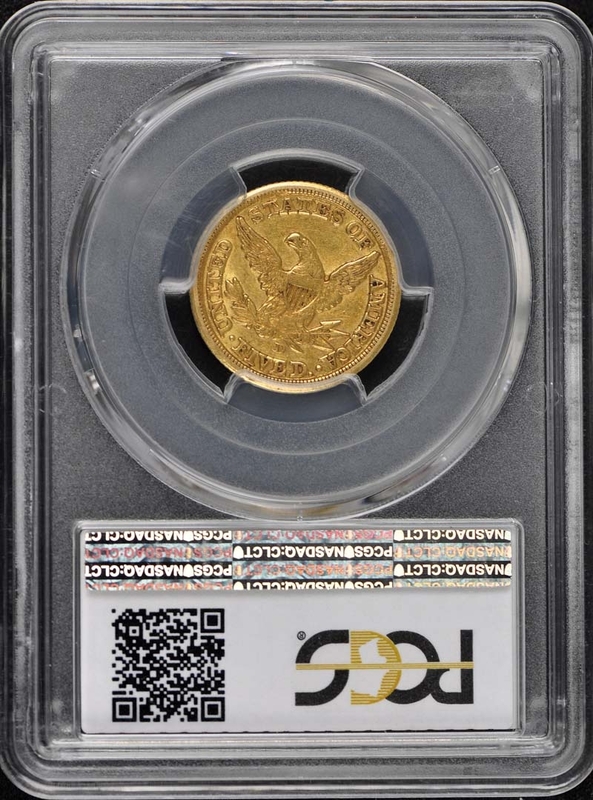 The 1854-D half eagle is one of the most readily available issues from the Dahlonega Mint. A substantial number of coins are offered at auction and private treaty each year. There are more high-grade examples of this date known than of any other date from the Dahlonega Mint. 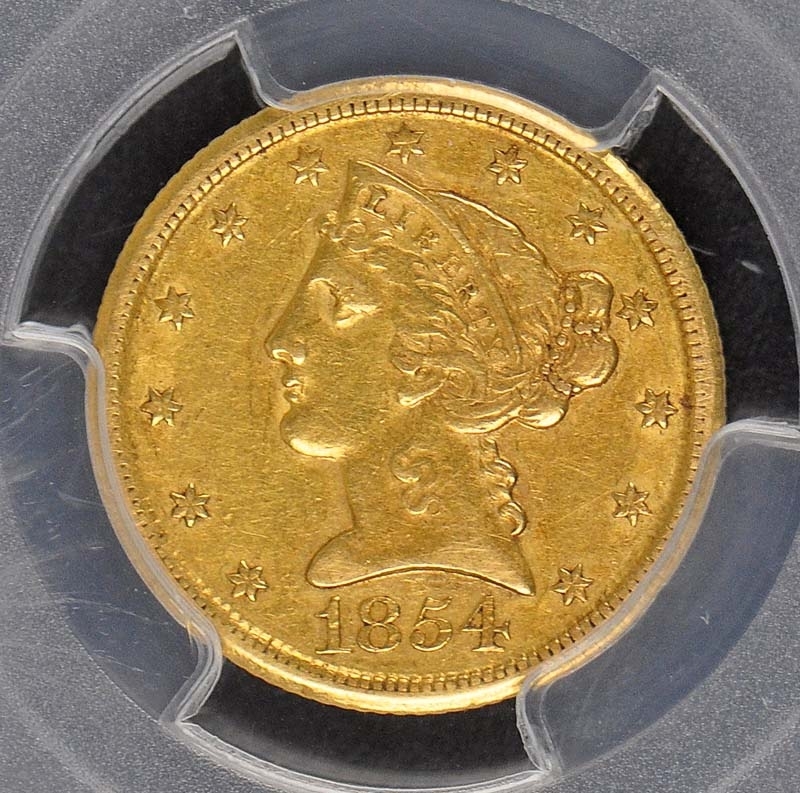 The 1854-D half eagle is also found with a very weakly impressed mintmark. 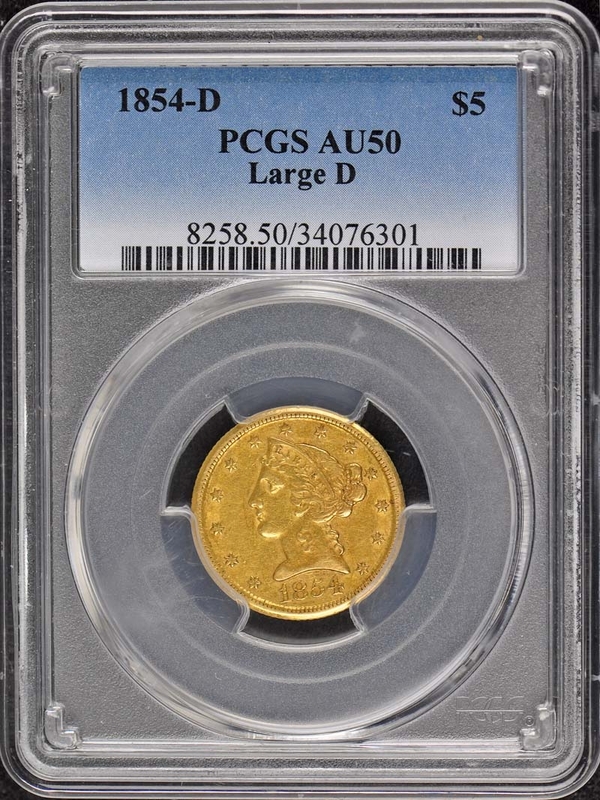 On some coins; the mintmark is completely missing; and the coin can be identified as a D-Mint coin only by the unique striking characteristics of Southern gold. 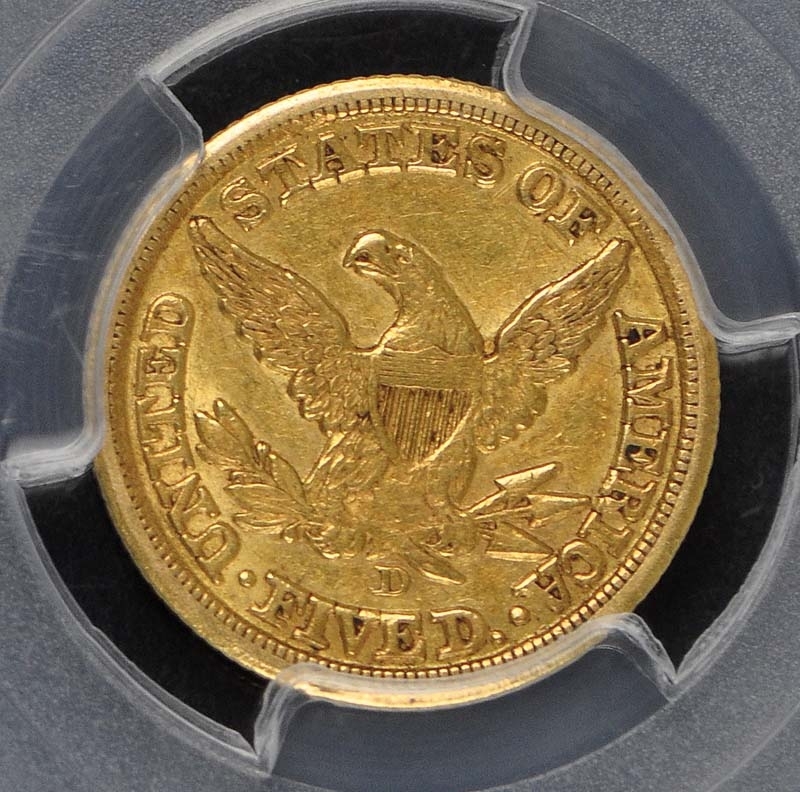 The finest example of the 1854-D half eagle is the amazing Dukeís Creek Collection specimen. That coin has been graded NGC MS-67; and it is the finest example of any denomination coin from the Dahlonega Mint. Mid-American Rare Coins and Robert Harwell sold the Dukeís Creek Collection of half eagles intact in 2004.